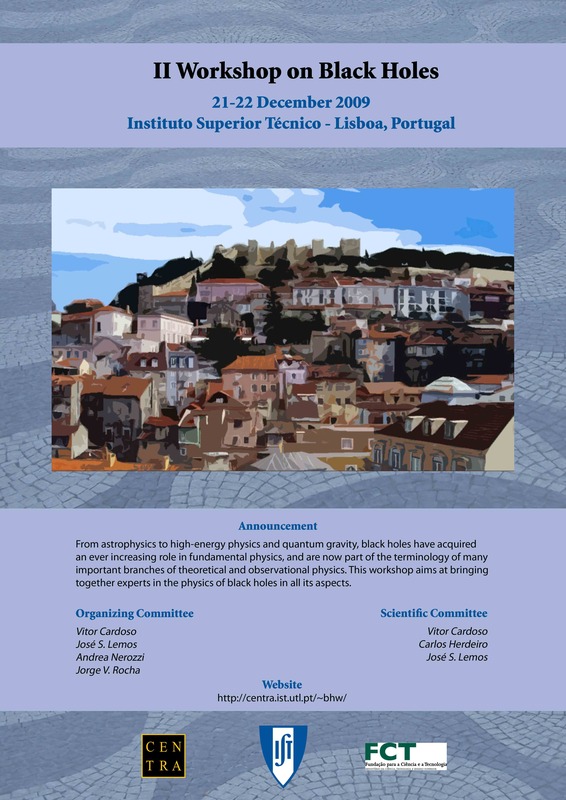 In the Spring 2008 an idea to organise a meeting of the "Portuguese" community working in black hole physics came to life, originally suggested by C. Herdeiro and immediately embraced by the IST-group of José Lemos and Vítor Cardoso. 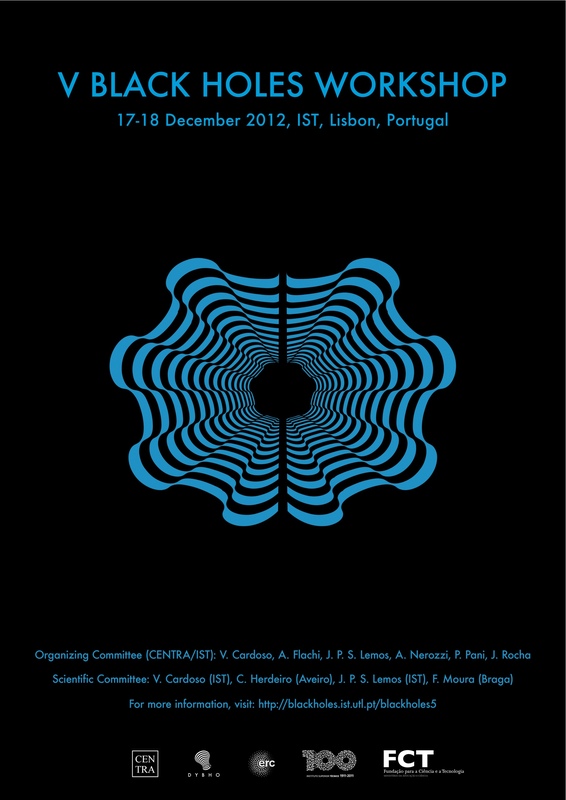 This idea was motivated by the increasing number of Portuguese researchers working in this topic, from different perspectives, as well as their increasing influence in the international development of this area. 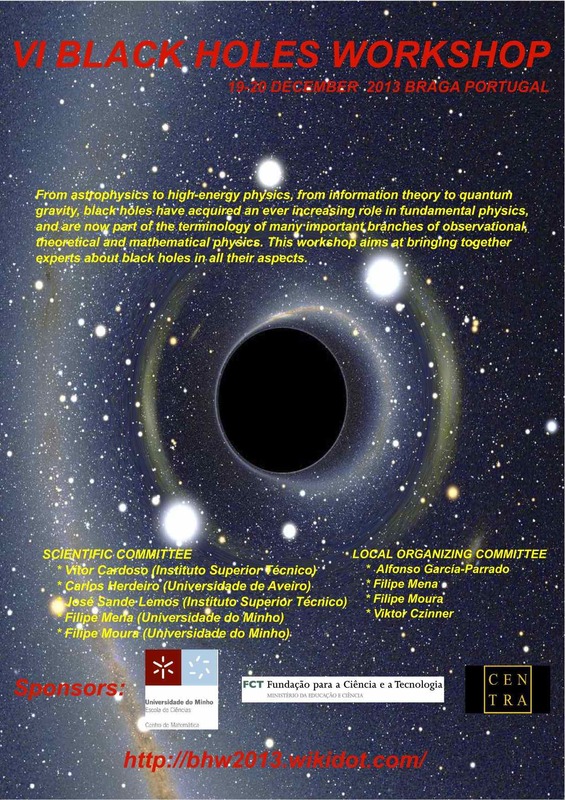 Additionally, black hole physics possesses the extraordinary property of being relevant for a truly vast range of physics subareas: to the traditional interest by astrophysicists, cosmologists and mathematical physicists, recent years have seen increasing interest by particle physicists, fluid physicists or even condensed matter physicists. 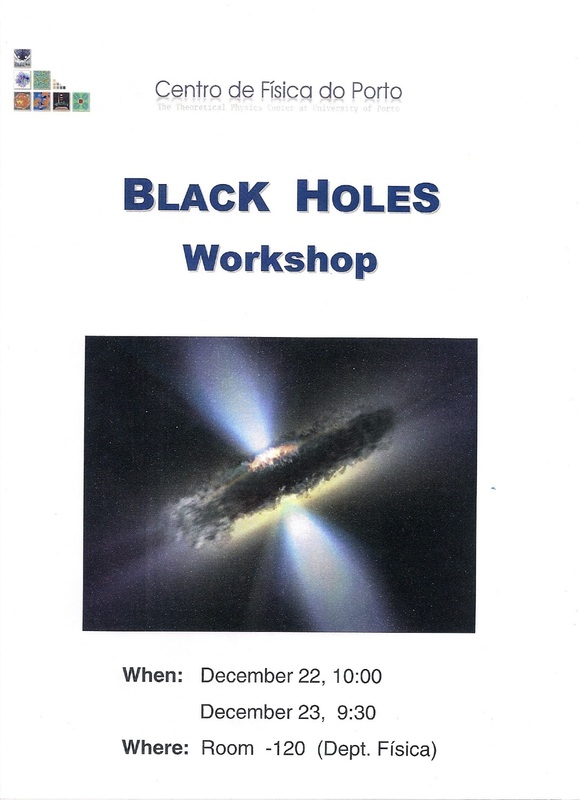 As remarkably expressed by the Hawking temperature formula (say for a Schwarzschild black hole) - which contains the four fundamental constants (Newton's, Planck's, Boltzmann's and the velocity of light) - black hole physics provides a remarkable opportunity for unifying all physics. 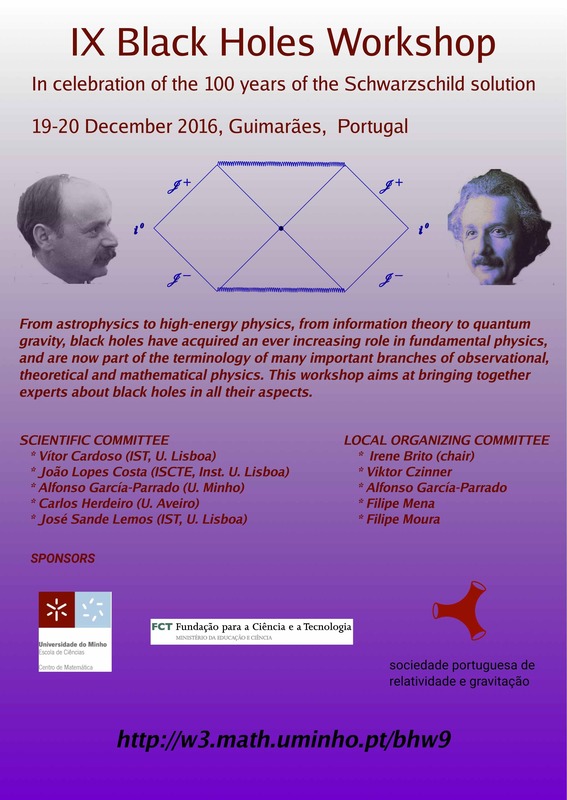 The original idea of a single workshop was quickly replaced by a yearly meeting, always around Christmas, as to facilitate the participation of Portuguese researchers working abroad. 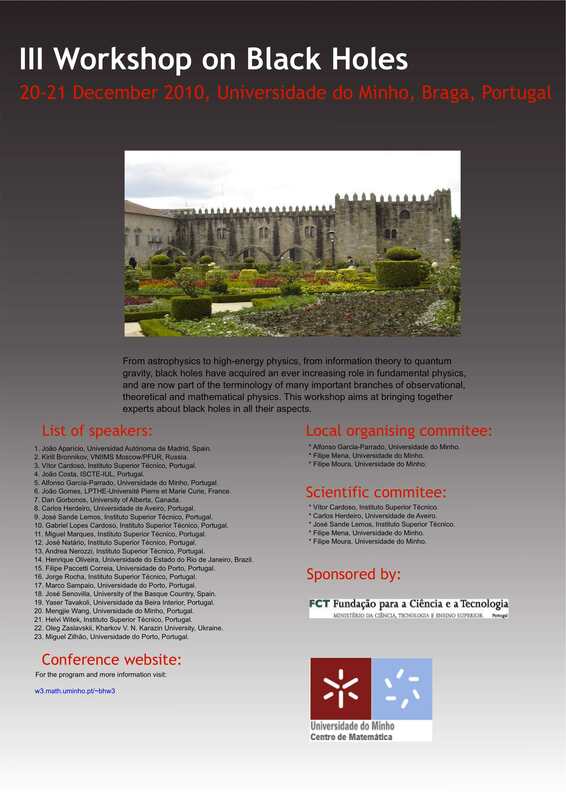 Moreover, the meetings have grown to invite not only Portuguese researchers or foreign researchers working in Portugal, but also other interested researchers. 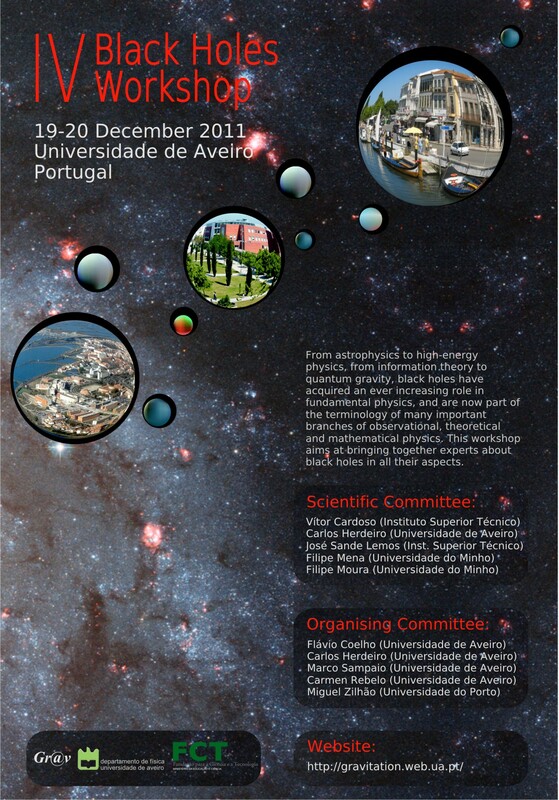 Still, the meetings keep a relatively small size so as to allow a true interactions between all participants as well as an informal and friendly atmosphere. 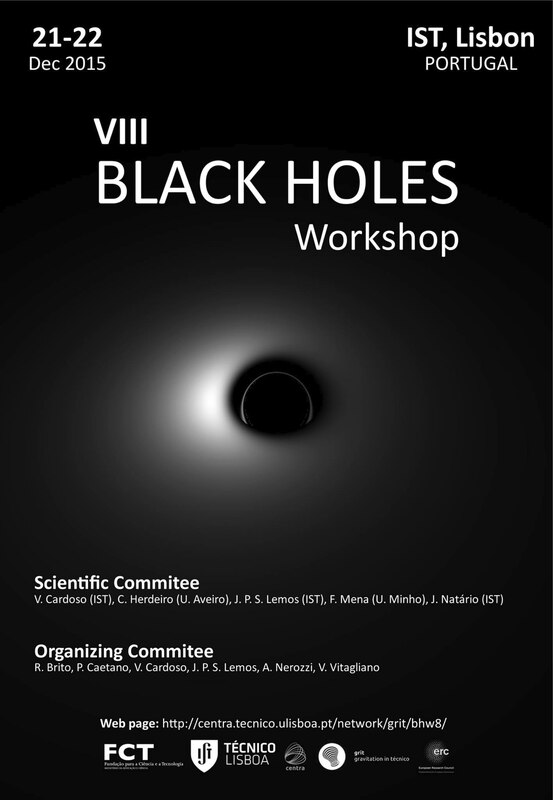 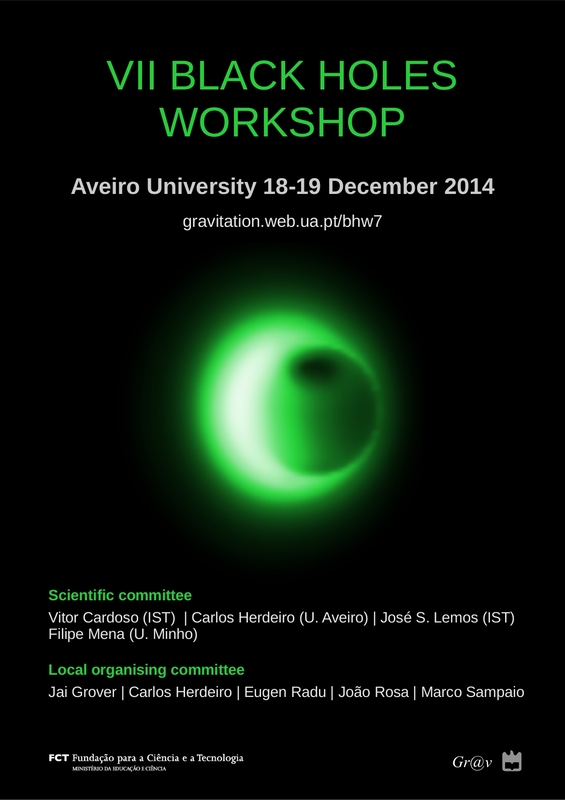 With the creation of the Portuguese Society for Relativity and Gravitation, in 2015, the "Black Holes Workshops" became the annual meeting of the society, wherein the society's General Assembly takes places and an annual prize for a yound scientist is awarded.